So the original intention was to create a Dashboard style widget UI using Swing. The only shortcut I took was not to pull out the maths book and write my own transform filter. I'm very pleased with the result, it was a lot easier than I thought it would be. Hopefully this exercise proves (again) that Swing can be more than just a boring, gray, toolkit suitable for boring, gray, form-filling applications. The new transparency features especially allow vibrant, modern looking UI's that are relatively simple and quick to create. 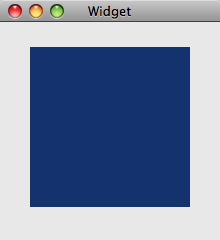 So that's really it for the UI. There are still a few non-UI things to do before making this code truly useful: preferences and desktop startup spring immediately to mind. Performance is also an issue. On my machine the two widgets take about 20 MB of RAM each and 0 CPU cycles when just sitting there. 20MB is considerably more than a simple Widget in Apple's Dashboard for example. However, in modern machines with RAMs of 1GB+ as standard, and depending who you're asking, maybe this is an increasingly unimportant issue. Especially if the widget is useful. Feel free to use the Source Code. Don't forget you'll need the filters classes from JHLabs. So the widget code is beta complete. With some tidying and refactoring it's time to create some simple examples. 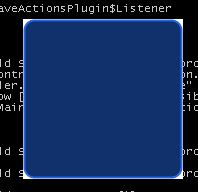 With the widget specific code pushed into a base class, these two examples just needed code to gather some information and paint themselves: About 100 lines each. These examples are just a taste of what's possible, rather than meant be really useful as working widgets - e.g. the weather widget is hard coded to San Francisco and could do with some better graphics. Source code and summary next. 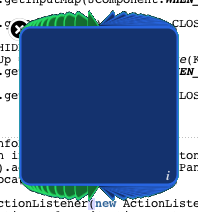 *I managed to fix the earlier OSX rendering problems by explicitly clearing the graphics before each frame. The widgets will now run on OSX with no additional downloads (Java 1.5). To prove that its possible to produce, fairly easily, and faithful interpretation of a UI it's important to get the little touches right. When I added the close button I mentioned that the close action has a nice swoosh animation as the widget is removed but conveniently didn't implement it. So I took a shot, and it actually it wasn't too bad. 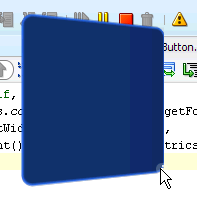 - The code that is used in the flipping animation snaps an image of a component and transforms it. 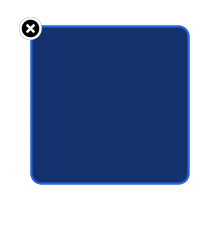 I factored out the general component animation from the flipping animation code to create a simple framework that can visually filter a component over time - just supply the distortion or adjustment. Using the Image Processing Editor I tried out different filters with different setting. 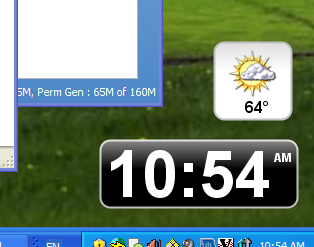 It looks like Dashboard is using a Pinch filter to distort the widget away to nothingness. The distortion code is quite small: use a pinch filter and gradually adjust the pinch amount and radius over time (once per timerTick()). The same image is painted every few milliseconds, and using this filter it displays the animation. Webstart the demo (Java 6 update 10 is needed or it'll look funny). Hold 'Alt' to get the close button to appear. When the info button is pressed the widget should flip over to reveal the back. OSX problems remain unresolved for now.